News of the suspension comes as the whale rescue community mourns Joe Howlett, a Canadian who died during a rescue operation July 10. Howlett, a former fisherman and boat captain, had founded a whale rescue team and was based in Campobello Island, just across the border from Lubec, Maine. 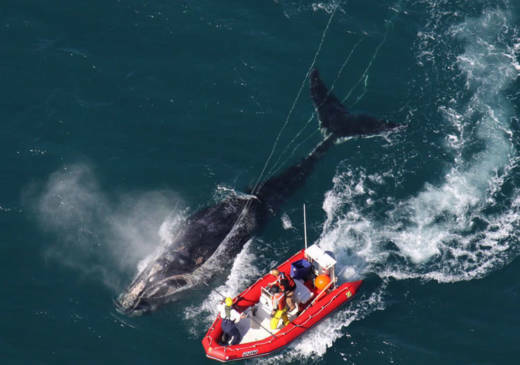 Howlett died after freeing a right whale in Canada's Gulf of St. Lawrence. 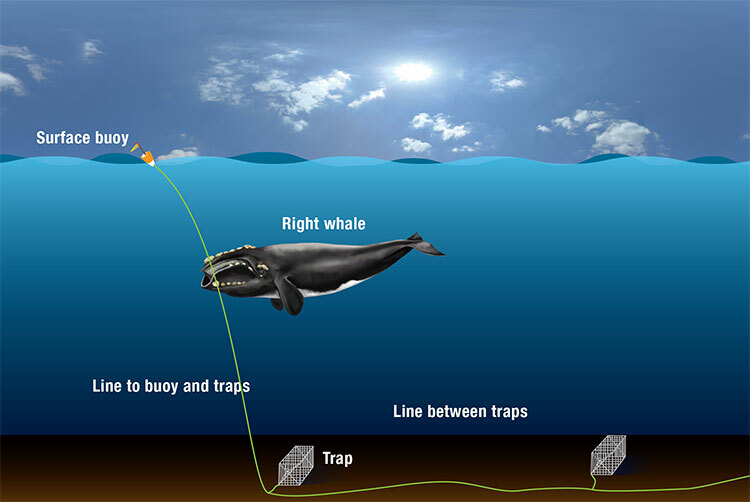 At the time, he was aboard a fast response vessel and had just cut the whale loose—an operation that often involves using long poles with blades on the end to sever crab floats and fishing lines that have become wrapped around the large mammals.